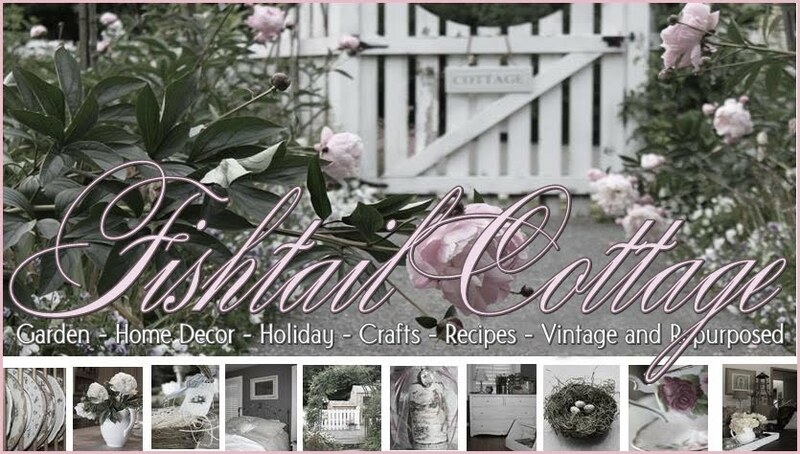 Fishtail Cottage: 100 followers giveaway… "
I only started blogging in November and already I have met some amazing people who I honestly feel I can call friends. I was introduced to Blogging by Dore over at Burlap Luxe. (Thank you Dore) – She and I met through her etsy store & she encouraged me to share my garden by blogging so that others too could enjoy it. Since then, I’ve been blogging & etsy shopping..lol! I’m just so glad this has become something I really enjoy and love looking at so many wonderful blogs and have been inspired by so many! Sooooooo, I decided to do a giveaway to thank those that have become interested enough in my blog to become a “follower”. It makes me so happy when you leave me comments and can appreciate what I share. This give away is for a magazine called Flower. It has been around for a few years, but new to me. I loved it so much, that I purchased two so I could share one with one of you! Not only will I send you the Flower magazine…I will send you garden seeds I collected last summer from my own garden for you to throw out in your garden…would love to share with you!! 1. Post a comment below, letting me know you are a follower. 2. Post the give away on your side bar to share with your friends. Hello Tracie, I just found you last week, I also like flowers. I design silk floral arrangement in my gift shop in Ohio. I would love to visit your flower garden! Take care and thanks for sharing with us!! 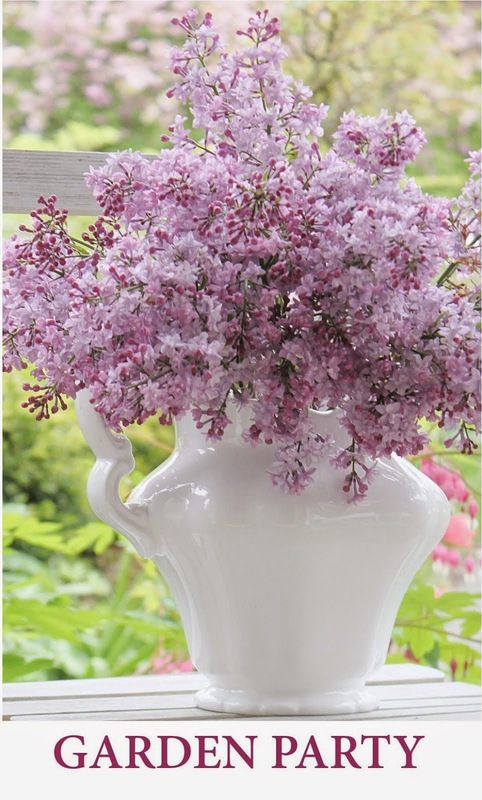 Oh, how I would love to win this, perhaps it would help me with my flower garden next year! So count me in! I just found you this week and became a follower right away. How amazing 100 followers in less than 3 months woo hoo! HaPpY to follow, Tracie ! Congratulations on a beautiful and successful blog - it's always nice to come visit you here! Congrats on the 100 ~ I am already a follower. I am having a 100th follower giveaway too... come on by. Congrats on your 100 followers! I am already a follower, and I find your posts very interesting. No wonder you have so many followers in such a short time. Hi Tracie! Congrats on 100! I am so glad that I have met you, you are so talented and inspiring!! I am a happy follower and look forward to seeing more!! What a great magazine, thank you for the chance to win!! Yea for 100! Haven't seen that mag before...looks pretty! I love that chippy pillar a few posts down...never too much chippy, if you ask me! Wow! 100 followers in such a short time is amazing! Count me in for the giveaway! I'm so glad to find a fellow Western Washington blogger/gardener! ~ What a great give-away!~ Please count me in! What a fab magazine and your garden is lovely.., I am now a new follower! What darling little, three footed teacups! ~ Just lovely!.., Thanks so much for sharing these lovelies with us! Especially thanks so much for joining me for my little corner of, 'Tuesday Tea Time In Blogland' for; 'Teapot And Tea Things Tuesday'! Your blog is so pretty and I love the photos you share. I'm a follower and I'll post about your generous giveaway on my sidebar. Beautiful new friend, you are way to amazing, thank you for mentioning me in the help and encouragement of getting your message and home style out there for all of us to enjoy in the blog world. This is sooooo! exciting for you to do your first GiveAway!! Its a beautiful one. Tracie, as much as I would love the win, please don't add me in on the giveaway. I have won two of them in the last 3 months and I would love for another beautiful blogger have a closer chance to the win without my number counting as a win. Blessings to all in the blogging world. I'm a follower...love, love, love your blog! Interesting Magazine and beautiful photos never heard about it before. Sorry I got to you back late. I was busy collecting the white 'Crushed Silk' hollyhock and other seeds over the weekend. I just cut the top part off and the seeds were almost ready to burst. It is ready to be send off to you. Please email me your address to my mail diana.demiyah@gmail.com . P.S. I hope you would like to participate "Seed Week" that will start on 22nd~26th January to share your knowledge about growing or collecting seeds, bulbs, tubers, rhizomes or cuttings with other gardener around the globe. I am you follower now and hope to learn much about cottage gardening from you. Have a marvellous weekend. Hugs, Diana. That looks like a lovely magazine. I really like your blog, and am madly in love with your two little chickens! They are the cutest things ever (those hair-dos!)! I've always wanted to have chickens, but am currently living in an apartment in Los Angeles, with 3 cats, so no chickens for me for the time being! I'm your newest follower, and I've not only added your give-away to the right sidebar on my blog, but I've also added you to My Blog Roll, so count me in! Hi Tracie, I just found your comment on my post from last summer. Thanks for stopping by to visit me. I'd be glad to follow your blog and have a chance to win your give-away. I love gardening and flowers and can't wait until spring! Good morning! 100 followers already...congratulations. I am sure you will continue to grow rapidly because you and your blog are both lovely! Been a follower and have your giveaway posted on my sidebar. I haven't seen this magazine either - sure looks yummy. I'd love to have my name included in the drawing for the giveaway. Just signed up to be a follower. I'm following, please sign me up. I just found out about this magazine as well! But I have to drive to Indy to get it...and hour away. Oh well...maybe I win yours! Yay! Congrats on the followers! You are on the move girl! Oh I love magazines especially gardening ones so please put me in for your draw. I'm going now to put you in my side bar :) Hope you have a wonderful day. I'm posting about your beautiful giveaway on my blog. Happy 100!!! I am your newest follower. Me!!! Pick me!! I am your newest follower! added this to the teatime blog for any last chancers ")) thx Tracie! you're doing a FAB job! Hi. Thanks for introducing me to your blog, and for leaving the kind comment. I love to garden also, and will look forward to joining your garden link parties. Right now our garden is a winter wetland of rosehips, sticks and sunflower seeds. I look forward to our first buds of spring. Congrats on 100 followers. Would love to see this new magazine. Hi again. I am your newest follower and just posted your giveaway on my blog side bar. I am your newest follower. I've enjoyed reading your posts on your three-footed teacup collection. They are all so beautiful. Thanks for stopping by my blog and for your invitation. I am one of your newer followers and having fun with your blog.